Steve Borthwick will become part of Japan's coaching staff when he calls time on his playing career following Saturday's Aviva Premiership final against Northampton. Borthwick, who has 57 caps for England, helped Japan last summer for their two-Test series against Wales and he will take on the role of their forwards coach under ex-Saracens boss Eddie Jones. He will be joined at Japan by ex-Dragons forwards coach Leigh Jones who will look after their defence. 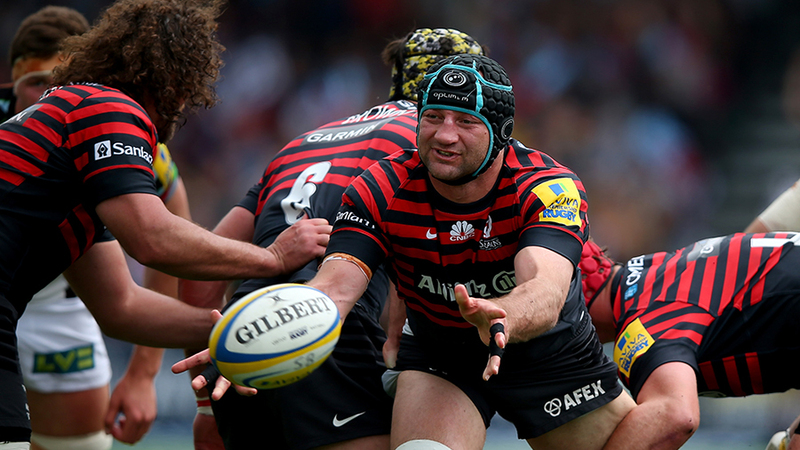 Borthwick will link-up with Japan after his time with Saracens comes to an end and he will help them prepare for the 2015 Rugby World Cup after they confirmed their qualification on Sunday. "Steve Borthwick, who will be joining our Japan team, has supported us over the past two years as a spot coach," a Japan Rugby spokesperson said. "Steve's lineout expertise has made a significant improvement in helping us win more lineouts. "Being a former captain of England, Steve has a good character and has great trust from the players. On the road to the World Cup, forwards will be the key to a successful campaign and we believe Steve as a forward coach will play a vital role."